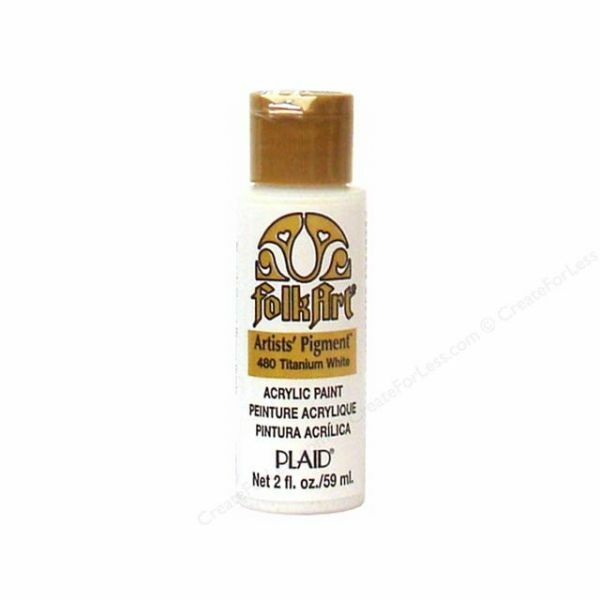 Folk Art Titanium White Artist Pigment Acrylic Paint - FOLK ART-2 fluid ounces of acrylic paint. Waterbase, heavy pigmentation, smooth texture. For use on all paintable surfaces. Shake well. Let dry 1 hour between coats. Clean up with soap and water. Conforms to ASTM D 4236.